Since we initially launched this site in 2008, The Urban Advocate has been actively involved with various philanthropic efforts. Whether passing out meals to the homeless and needy on Thanksgiving, to donating books to children’s drives, The Urban Advocate has remained dedicated to giving back to the community. The Urban Advocate has worked with a number of associates to help organize, promote and support charitable events and foundations around the Dallas/Ft. Worth area. The Urban Advocate remains motivated to lend a helping hand to the less fortunate and charitable efforts we believe in. As The Urban Advocate grows, we will continue to work with charities around the Metroplex and ask you to consider helping/volunteering with any of these efforts. We will be updating this page as often as we can as the need for aid never ceases. Created on Thanksgiving Day 2009 by Entrepreneur Nikki Hayes, the yearly tradition is co-led by Remon Johnson of TheUrbanAdvocate.com and Syndicated Radio Personality & Humanitarian Vincent “Heartbreak” Tucker (CNN, ABC & FOX). The collective, supported by wonderful volunteers have fed hundreds of people every year thru the campaign’s annual efforts. 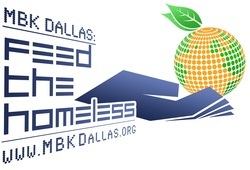 Partnering with Emerald City Bar & Grill in South Dallas, the venue is transformed into a place where the less fortunate can step out of the cold, delight in a good meal and enjoy the presence of positive people who want to help and entertain. Register to Speak Out!™ increases youth voter participation in North Texas by using music and entertainment to make voting relevant. Register to Speak Out™ increases youth voter participation in North Texas by using music and entertainment to make voting relevant. We coordinate voter registration drives, get-out-the-vote events and voter education efforts as the Register to Speak Out™ campaign encourages young people in North Texas take advantage of their right to vote. CounterCulture is more than a movement. We are a MISSION effectively influencing this generation to “Live Backwards” – that is, to live in opposition to the negative, forward momentum of the culture. JOIN THE MISSION! Primarily comprised of young adults, we are intentional about exposing this generation to ideas that combat many of the unhealthy norms of society. We promote our message through various acts of service within our community, a wide array of unique presentations, and clothing bearing our ideas, committing our lives as examples of our passion to provoke change. Tomorrow's Purpose is a 501(c)(3) tax-exempt organization whose mission is to promote intellectual growth and development of youth by equipping them with supportive resources and experiences that encourages students to explore, develop, design, and exhibit their efforts before scholastic and non-scholastic audiences. Our Commitment reflects the process and procedures we use to build a network of continuing education within and after each program. This program creates an ongoing business model that teaches students not only to work for wealth but also to create their own through investment in themselves.